Former Chinese Nationalist Party (KMT) chairman Wu Po-hsiung, from left, former Taichung Mayor Jason Hu and former Vice President Lien Chan are pictured in the file photos. According to an alliance working for the return of the KMT’s ill-gotten party assets to the state, Wu, Hu and Lien have benefitted from pension payments based on their service both in the party and as a public official. The Executive Yuan is mulling a reform to the practice of combining years served as civil servants with years worked as a Chinese Nationalist Party (KMT) official to qualify for pensions, which was implemented by the KMT in 1971. An Executive Yuan official yesterday said that some retired top-echelon KMT officials are covered by the regulation that allows them to combine their party and public-sector service years to qualify for pensions. The Executive Yuan and the Democratic Progressive Party (DPP) caucus have proposed an amendment or legislation to put an end to the practice. Information provided by the Zero Party Assets Alliance shows that former KMT chairmen Lien Chan (連戰) and Wu Po-hsiung (吳伯雄), as well as former KMT vice chairmen Jason Hu (胡志強) and Lin Feng-cheng (林豐正), are among those claiming the pension privilege. The Ministry of Civil Service said in an investigation that about 200 retired public servants have combined their years worked as public servants with those as party officials to qualify for pensions. There are also many retired public-school teachers following the practice, the ministry said. However, an Executive Yuan official said the benefits given to the family of deceased public school teachers, who are entitled to half of the monthly pension of the deceased, would not be scrapped if the deceased qualified for pensions only after combining the party and public sector service years. The official also said that the Executive Yuan had planned to have the Examination Yuan propose the reform, but decided to go through the DPP caucus, as all Examination Yuan sitting members were nominated by former president Ma Ying-jeou (馬英九). Although the directive was annulled on Dec. 3, 1987, those years counted toward pensions before the annulment was exempted. 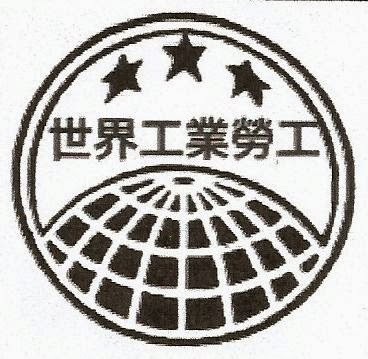 An investigation during former president Chen Shui-bian’s (陳水扁) presidency found the Public Service Association, the KMT local chapters, the China Youth Corps, the Taiwan Provincial Youth Service Corps and the KMT’s Sun Yat-sen Institution on Policy Research and Development and the Youth Publishing Co granted years working there as qualification toward pensions. Officials said retired top KMT officials would no longer qualify for pensions after their party service years are rescinded.